Choice of Size : 1981 x 762 x 44mm.1981 x 838 x 44mm. These external doors let in plenty of light to make your home feel bright and spacious, and offer a cost effective yet high quality replacement or refurbishment door, helping to retain the traditional feature of your property. 2XG refers to a door with one glazed panel, which is rebated to accomodate a 14mm double-glazed unit (glazing not included) and one solid panel. 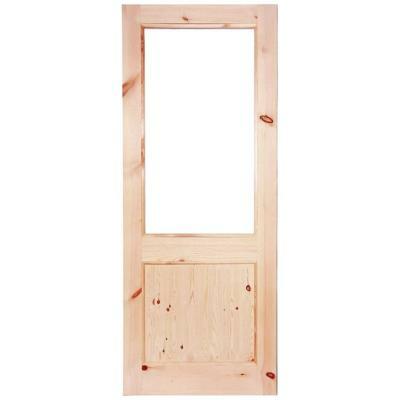 Doors supplied un-glazed and are unfinished ready for on site paint or stain finishing.